Cloudinary’s customers can range in size, be found in a variety of verticals and boast multiple use cases. Large and small, our customers are our backbone and we like to support them by highlighting their stories on our blog. 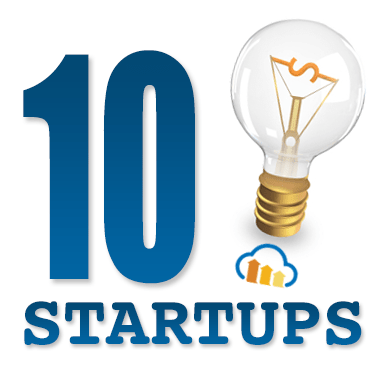 Check out the ten featured startups below who are Cloudinary’s customers and utilizing the service as their image management system of choice. Previous posts in this series can be found here: Part 1, Part 2, Part 3, Part 4 and Part 5. Marvel have built a tool that allows anyone to bring their digital ideas to life. Used by designers, entrepreneurs, startups, agencies, students and more, all their images are professionally handled by Cloudinary. Wanderable have created a honeymoon registry, enabling meaningful and memorable gift giving. All the site’s beautiful images are uploaded, manipulated and delivered by Cloudinary. Shopa is where shopping gets social, connecting retailers with customers through the power of recommendation. Shopa uses Cloudinary to manage their millions of images and dynamically generate thumbnails to perfectly fit on their website. With BigOven, you can take your recipes anywhere, and easily share your favorite creations with your friends and family. BigOven is both a website and a mobile application which utilizes Cloudinary to upload, manipulate and deliver mouth watering images. Carmigo’s goal is to help you find the right car, at the right price, by connecting you directly to competing dealers in your area. All automobile images uploaded are delivered seamlessly via Cloudinary, ensuring you make the best purchase in town. VisibleImpact is an integrated project management and communication platform connecting social organisations and their donors. It provides impact tracking features, data collection and seamlessly integrates fundraising. VisibleImpact uses Cloudinary for their full image pipeline. Leetchi.com is an ideal solution for collecting and managing money for groups. The platform allows to raise money for any occasion or online fundraising project, from birthdays and holidays, to raising money for charity. Bridestory aspires to be a one-stop online wedding vendor directory, with a technology platform that helps users find, select and compare wedding vendors from twenty-two different categories. All the images on-site are managed, transformed and polished by Cloudinary. Flatmates.com.au is Australia's biggest share accommodation site, helping flatmates find one another. Thanks to Flatmates use of Cloudinary’s image management solution, the users can know exactly what to expect from each flat.